Although most of the country is still experiencing colder-than-normal temperatures, I’m completely in a springtime mindset. So for this month’s Color Combo post, I wanted to pair two of the most spring-like colors out there: robin egg blue and yellow. Both shades are bright, fun, cheerful, and look so fantastic when worn together. Even if the weather says otherwise, I guarantee that pairing these two colors will have you gearing up for spring! While this look is made up of comfy wardrobe basics, the robin egg blue and yellow accents really amp up the style. Start by pairing a cute yellow blouse with a pair of light wash jeans. Add some striped slip-on shoes and grab a robin egg blue satchel. Contrast the color of the bag by painting your nails a pretty teal shade. For the finishing touch, accessorize with stacked silver bangles. This robin egg blue dress is quite the statement piece, and would work for day or night. 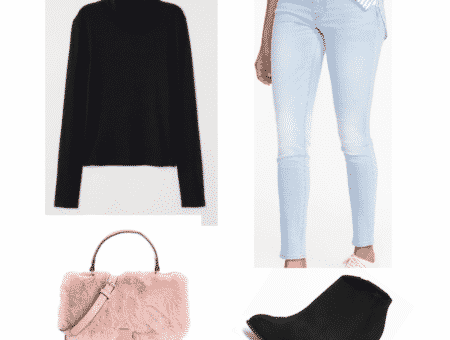 For a casual everyday look, try wearing it with lace-up boots and a pair of tights if it’s extra chilly outside. Wrap a pale yellow scarf around your neck, then paint your lips a bright coral hue. Keep the accessories simple by slipping on a few mixed metal rings. Look polished and colorful on campus in the outfit below. This cozy sweater is ideal for colder temperatures, and incorporates both hues. Pair the sweater with some robin egg blue trousers and a pair of neutral flats. A faux leather backpack is perfect for carrying the essentials, while gemstone earrings are a glam touch. Get in the springtime spirit with this final ensemble. Start by pairing a robin egg blue top with a fun palm tree print skirt. Dress the look down with white loafers, then accessorize with a cute pendant necklace. Throw your hair into a high ponytail, grab this statement-making bag, and head out the door. 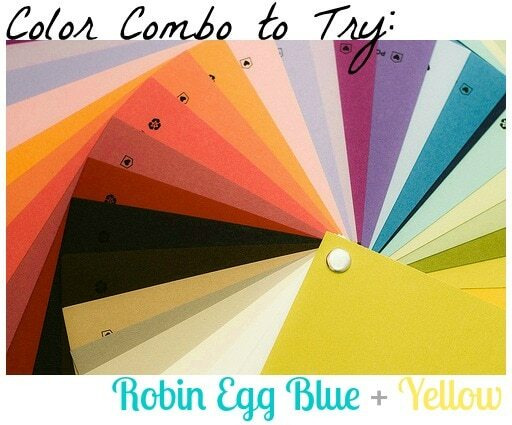 Would you ever pair robin egg blue with yellow? What are your fave spring colors? What do you think of these outfits? Which one is your favorite? What other color combos would you like to see featured here? 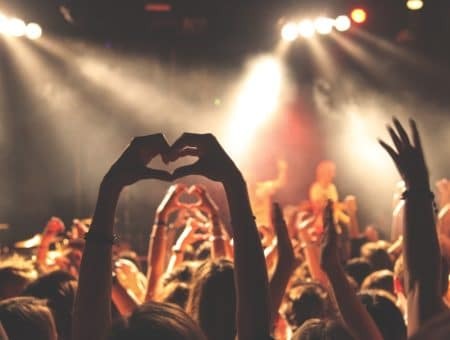 Remember to leave a comment below and let me know what you think!